God did not give you a spirit of fear beloved . . .
I’m not sure who this is for, but I really felt impressed of the LORD to write this! 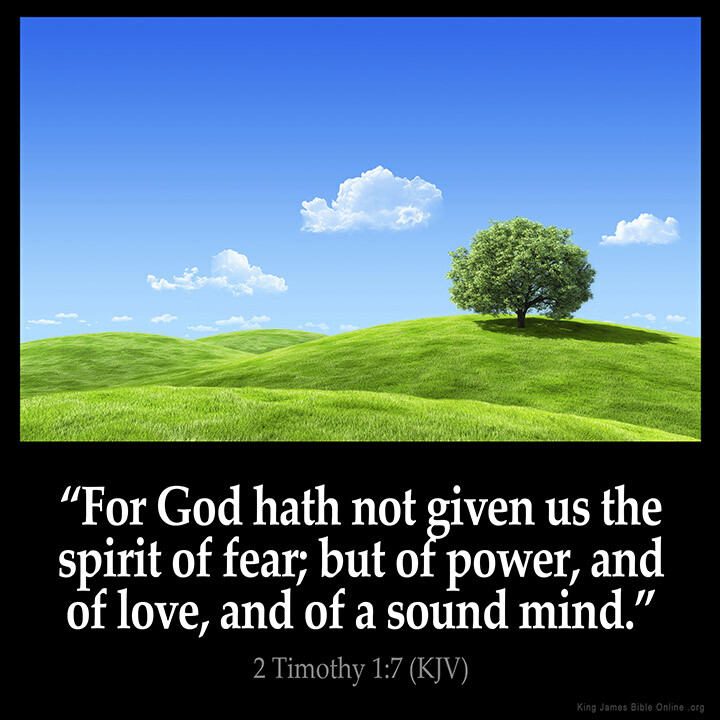 God does NOT use the spirit of fear against His Children! God IS love always and forever! DON’T take his bait. If you are struggling with fear, let me pray for you! Dear LORD, truly fear is a LIAR, for it comes from the father of lies himself. I lift up those who are reading this right now. I speak to their broken heart that the enemy is preying upon. I speak LIFE to their heart and cover it with the Blood of Jesus! LORD, I cast down the spirit of fear and desperation in their life, in Jesus name! I cover their mind and thoughts with the blood of Jesus. I release the power of God’s LOVE over you from the crown of your head to soles of your feet. Father close any opening in their lives with the blood of Jesus and let there be no room in them for the enemies lies! Let them feel your presence in this prayer and testify to your goodness in answer to this prayer.